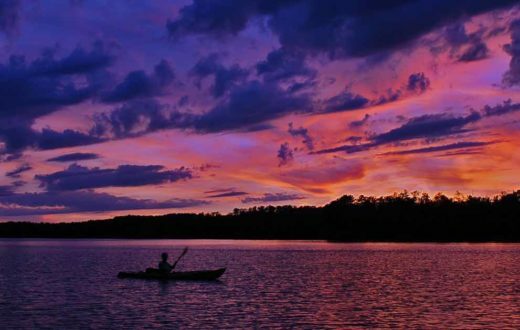 Renowned for its natural beauty, the Boundary Waters Canoe Area Wilderness is the most visited area in the National Wilderness Preservation System. The Boundary Waters are under threat from proposed sulfide-ore copper mining on adjacent lands. This wild freshwater haven will be gravely threatened by acid mine drainage, if mining occurs on nearby lands. The Trump Administration and Congress should take action to ensure the Boundary Waters is permanently protected and resist efforts to weaken conservation law and water quality standards that would jeopardize this sensitive and well-loved area. Take action: Tell your Members of Congress to take action to ensure the Boundary Waters is permanently protected and resist efforts to weaken conservation law and water quality standards that would jeopardize this sensitive and well-loved area. The Kawishiwi River (which divides into North and South branches) is an important canoe route through the heart of the Boundary Waters and the Superior National Forest. Its waters flow out of the Wilderness through Birch Lake, re-enter the Boundary Waters through Fall and Basswood Lakes, and then flow into Ontario’s Quetico Park. The South Kawishiwi River area has three popular entry points to the Boundary Waters for wilderness travelers. The valuation of natural benefits (i.e., ecosystem services, such as cleaning air and water, moderating natural disturbances, and promoting human well-being) alone of the Boundary Waters is estimated to be $1.39 billion; this does not account for recreational value (more than 155,000 visitors annually), job creation (around 17,000 jobs), or the more than $913 million in sales annually that tourism brings to the region. The significance of this special place is underscored by the four research sites in the area. Further, the river and its lakes are protected for hunting, fishing, and gathering wild rice under the 1854 Treaty of La Pointe. 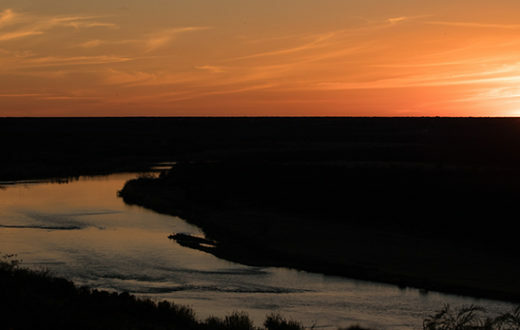 This treaty, signed by member bands of the Ojibwe (also called Chippewa) Nation additionally aids the preservation of the lands and waters for other area tribes with a historical connection, such as the Huron, Cree, and Dakota Nations. People, fish and wildlife, including walleye, northern pike, smallmouth bass, wolves, lynx, moose, bear, loons, bald eagles and osprey, all benefit from the clean water that the Boundary Waters provides for drinking, recreating and refuge. The Boundary Waters and the Kawishiwi River are threatened by a massive sulfide-ore copper mine proposed by foreign-owned Twin Metals/Antofagasta on the banks of, and under, the South Kawishiwi and Birch Lake. Other mining companies have an interest in the area as well. If this first project is allowed, others likely will follow, creating an ever-greater risk of water contamination. More than 99 percent of the sulfide-bearing rock extracted from hardrock mining would be waste. When air and water contact such waste rock, acid mine drainage (sulfuric acid, heavy metals and sulfates) is released. Similar mines elsewhere generate hundreds of millions of tons of waste rock and acid mine drainage that requires active water treatment now and for hundreds, perhaps even thousands, of years. 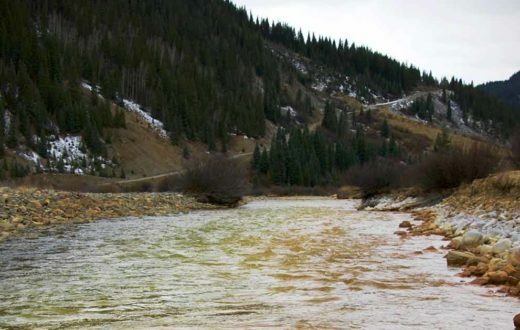 Acid mine drainage harms water, aquatic and terrestrial species, forests and soils, and poses a serious risk to human health. 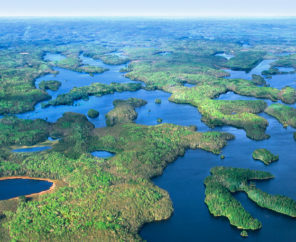 The Boundary Waters is uniquely vulnerable because of the extensively interconnected and abundant waters and a lack of buffering capacity (base compounds) to prevent a drop in pH levels. The scientific evidence supporting the high likelihood of harm to the South Kawishiwi and the Boundary Waters from sulfide-ore copper mining in the watershed is abundant. Peer-reviewed hydrology has shown that acid mine drainage will flow into the Boundary Waters from copper mining in its headwaters. Once polluted, no mitigation could fix the significant and long-term damage to the Boundary Waters. Hardrock mining is the most toxic industry in America, according to the U.S. Environmental Protection Agency (EPA). 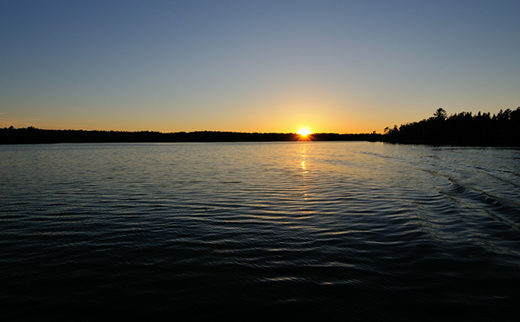 Scientific and economic studies show that sulfide-ore copper mining along lakes and streams that flow into the Boundary Waters would endanger not only premier fishing, hunting and other recreational activities, but also the stable, sustainable economy of Northeastern Minnesota. Economic analysis shows that sulfide-ore copper mining on Superior National Forest lands in the watershed of the Boundary Waters could lead to the loss of nearly 5,000 jobs in tourism, up to 22,000 jobs in the rest of the economy, a $1.6 billion loss in annual income, and a $509 million reduction in private property values. Under the Obama Administration, the U.S. Forest Service advanced toward semi-permanent protection of the Boundary Waters from mining, including: (i) denial of renewal requests for federal mining leases, and (ii) initiating an environmental review process to consider a 20-year mining ban for 234,328 acres of Superior National Forest lands near the Boundary Waters. The U.S. Forest Service must prepare a rigorous and comprehensive environmental study that thoroughly analyzes the potentially devastating impacts of sulfide-ore copper mining on Superior National Forest lands in the Rainy River Drainage Basin. This analysis should take an unbiased approach to evaluating the scientific, economic and social basis for the protection of 234,328 acres of Superior National Forest lands. 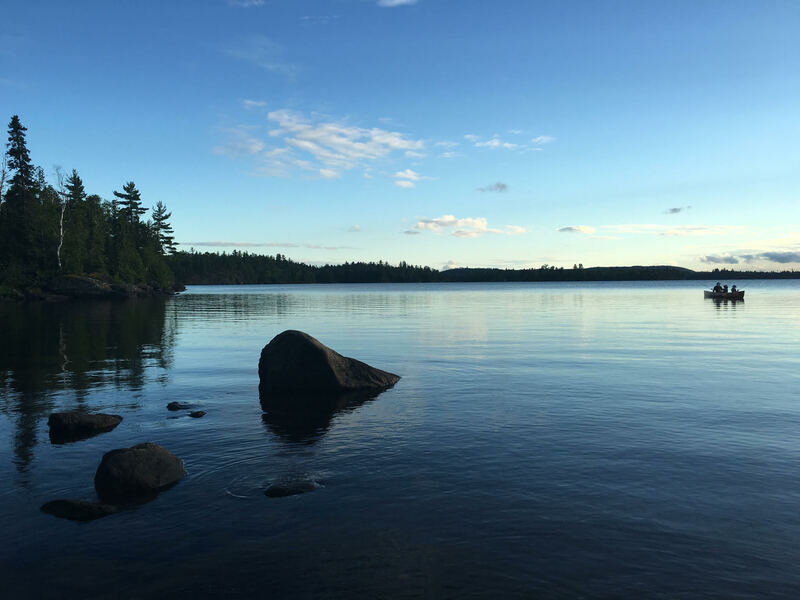 This evaluation should not be influenced by mining interests, and is essential to ensure the long-term health and sustainability of the Boundary Waters. Supported by a firm scientific basis that a rigorous study will supply, the U.S. Forest Service should submit a strong recommendation to Interior Secretary Ryan Zinke to instate a 20-year ban (the maximum currently allowed by law) on mining on 234,328 acres of Superior National Forest lands. 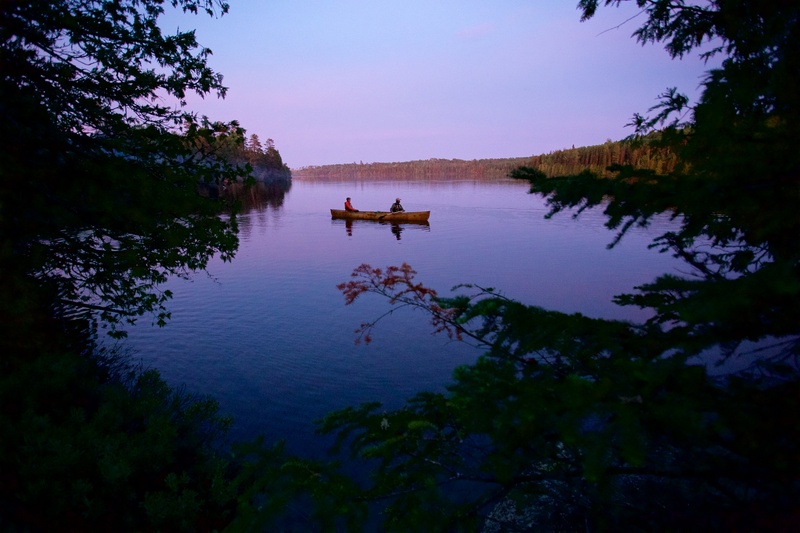 This is the vital first step towards permanent protection of the Boundary Waters from mining. Based on a recommendation from the U.S. Forest Service, Interior Secretary Zinke should withdraw 234, 328 acres of Superior National Forest lands in the headwaters of the Boundary Waters from the federal mining program. Bear Witness: A Year in the Wilderness from Save The BWCA on Vimeo. Tell your Members of Congress to take action.